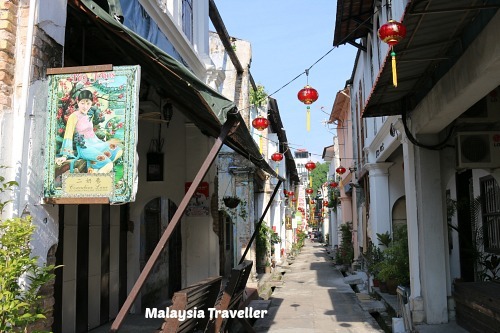 Here is some Malaysia Traveller Trivia about Climate, Coat Of Arms, Cocoa, Coliseum and Concubine Lane. 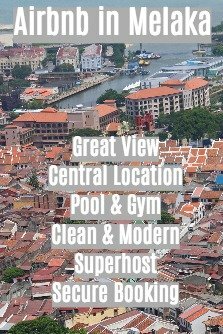 When tourists ask me when is the best time to visit Malaysia, I like to jokingly reply ‘between 7 and 8 in the morning’. Malaysia’s climate lacks seasons and the weather is either hot and raining or hot and sunny. However with acclimatisation, foreign residents manage to cope with the heat and come to appreciate those cooler spells early in the morning or just after a thunderstorm. Mean relative humidity in both places is high: 89.4% in Cameron Highlands and 83.4% at KLIA. 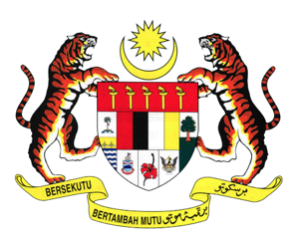 The coat of arms of Malaysia incorporates a star and crescent symbolising Islam as the official religion of Malaysia. The 14-pointed star represents the 13 constituent states within the Federation of Malaysia together with the Federal Government. The five Kris represent the five former Unfederated Malay States (Johor, Kedah, Perlis, Kelantan and Terengganu). The four coloured panels in the centre represent the former Federated Malay States (black and white for Pahang, red and yellow for Selangor, black, white and yellow for Perak, and red, black and yellow for Negeri Sembilan.) The betel tree and Penang Bridge on the left of the shield represents the state of Penang and the right-hand section shows the Melaka tree that depicts the State of Melaka. These two states formed part of the former Straits Settlements. The three sections below represent the State of Sabah on the left and the State of Sarawak on the right. In the centre is the bunga raya or hibiscus, the national flower. The five petals of the bunga raya symbolise the Rukunegara while the red colour represents courage. Flanking the shield are tigers, a design element retained from the earlier armorial ensign of the Federation of Malaya. The motto in Romanised and Jawi scripts reads “Bersekutu Bertambah Mutu” (“Unity is Strength”). The scroll is in yellow, the royal colour of the Sultans. Cocoa reached Malaysia’s shores during the 18th Century but active planting did not begin until after WWII. By 1990 Malaysia was producing 247,000 tonnes of cocoa beans but this has since declined sharply to just 4,105 tonnes in 2011. However the processing of cocoa products using imported beans has shot up and, in 2011, Malaysia earned RM4.2bn from the export of cocoa products, mainly cocoa butter, powder, paste and chocolate. The Coliseum Cafe & Hotel is shabby, run-down, grubby and with indifferent service. 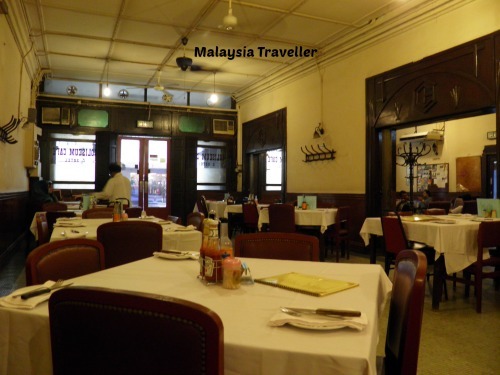 But it is a KL institution which has been around since 1921. For visitors who feel nostalgia for old Malaya or want to imagine what life must have been like for an off-duty planter, the Coliseum is a must-visit. The food served is a mix of standard Western fare (with British touches like sliced white bread and butter) and staple Asian dishes. They used to serve one of the finest chilled draft Tigers in town but on my last visit they had switched to Carlsberg. The Coliseum has opened a new branch in Petaling Jaya which is much cleaner and smarter than the original while still attempting to replicate some of the old character. 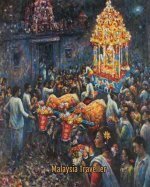 When Ipoh was experiencing its ‘Tin Rush’ it became something of a Wild East town, full of opium dens, illegal gambling joints, brothels and so on. Wealthy Chinese tycoons would acquire mistresses (concubines) and install them in streets such as this one, known as Second Concubine Lane. Until recently the lane was in rapid decline with parts of buildings crumbling due to decay but it is now undergoing something of a revival and life has returned to this famous alley.